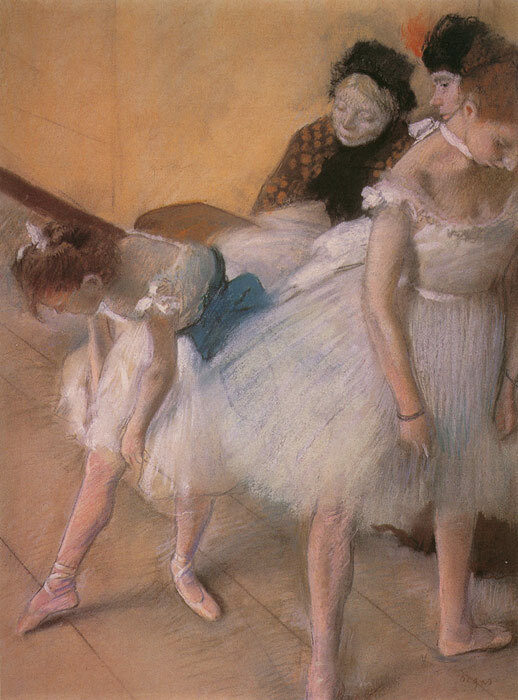 Degas favorite subjects included scenes from the world of entertainment, the ballet and later from everyday life. Whilst often associated with the Impressionist Movement Degas developed his own very distinctive style. However, in contrast to his impressionist colleagues, Edgar Degas preferred to work in a studio. He made sketches of his subjects on the spot and then created the painting later in his studio. SPECIAL NOTE : The painter will make the reproduction as close to the original oil painting as possible. If you want your painting to alter from this likeness, please email us and " Before the Rehearsal, c.1880 " will be reproduced according to your special requirements.